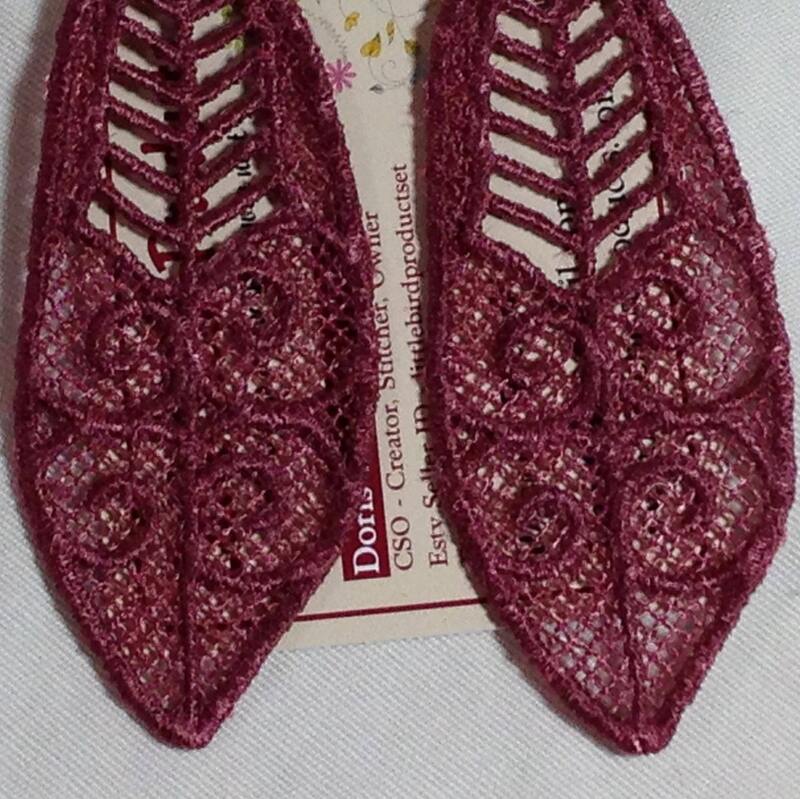 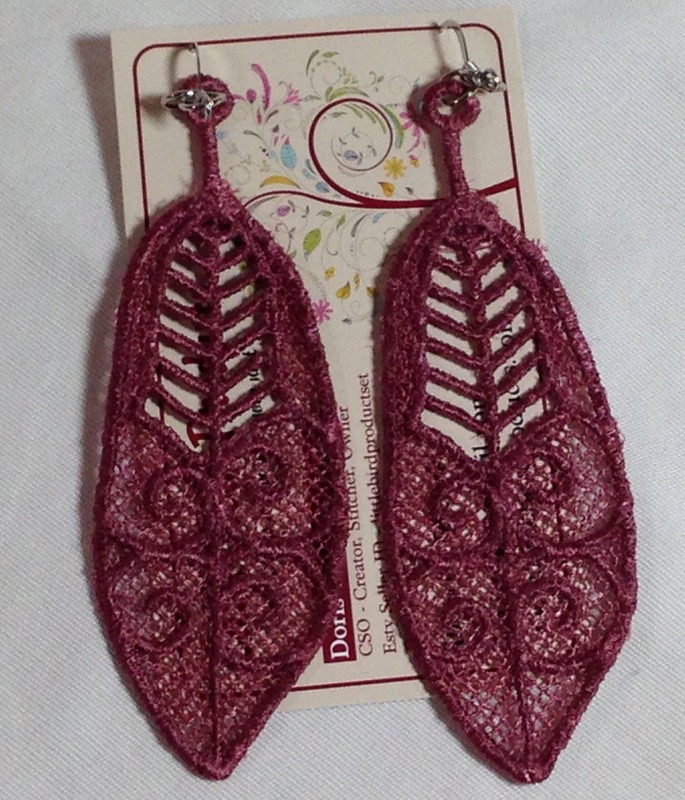 These beautiful earrings are made from machine embroidered free standing lace. 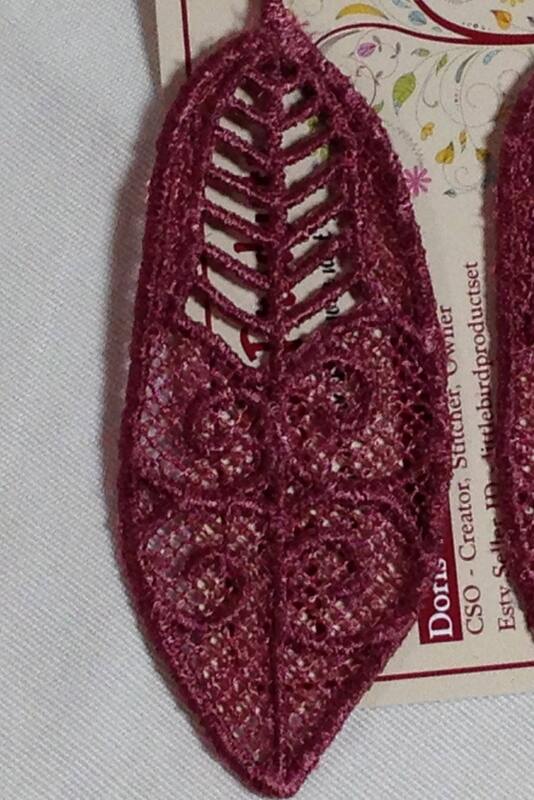 They are approximately 3" long and a deep mauve color with detailed veining. 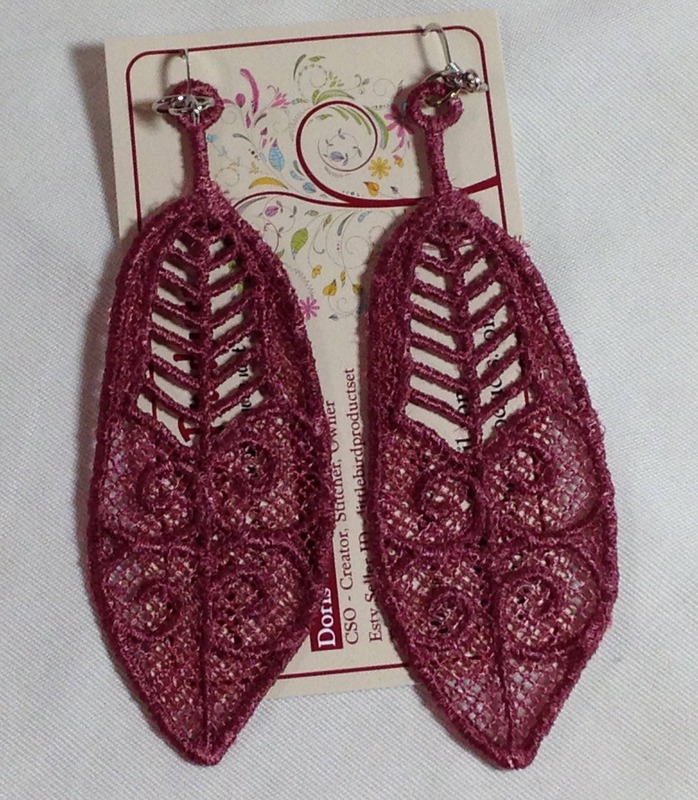 Their shape and length gently frame the face and reflect the dusty rose blush color on your cheeks. 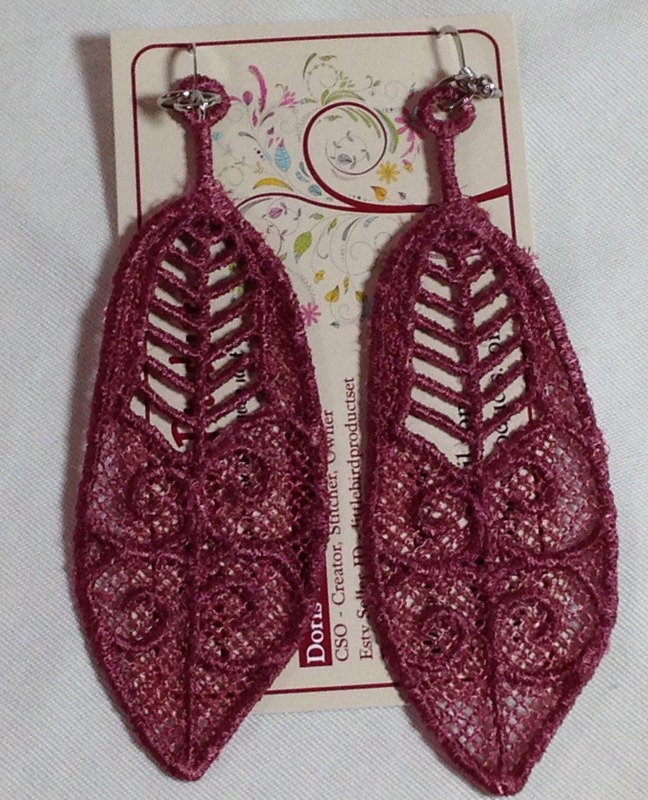 These lace earrings were made using high quality rayon thread for strength and longevity of the thread sheen and color clarity. 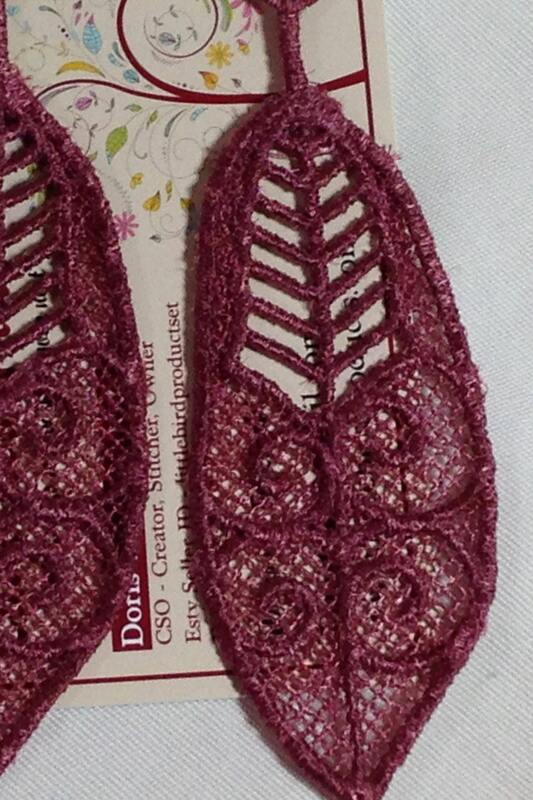 I enjoy making these pieces and love the detailing in this leaf patterned lace. 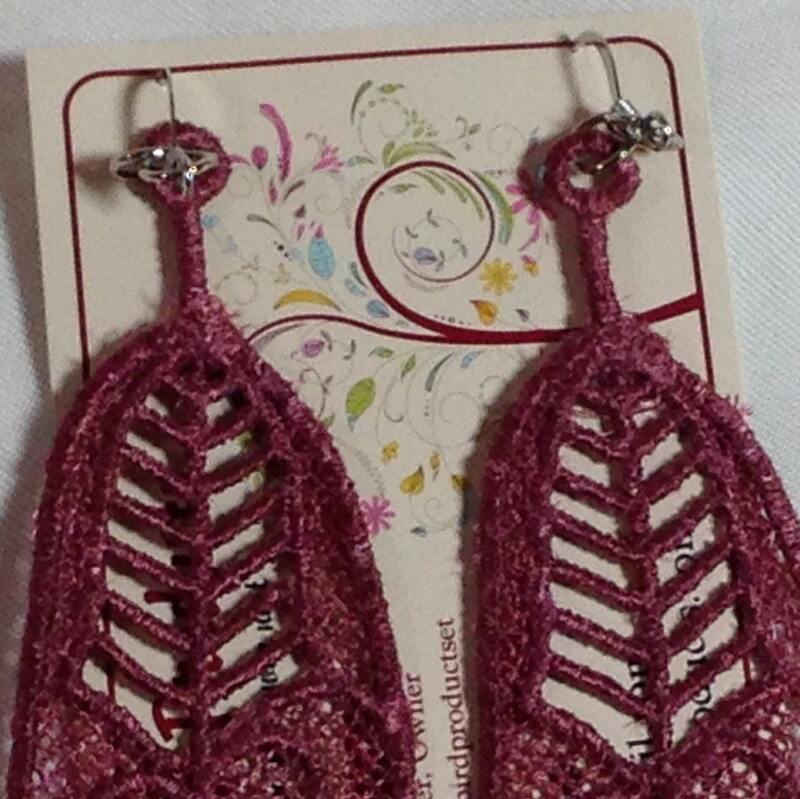 I have only three sets of these in this mauve color.